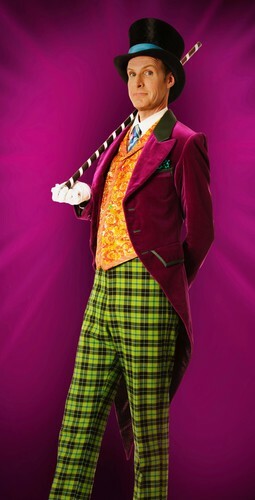 Playing only in Sydney, Charlie and the Chocolate Factory has delighted audiences in London, New York and across the US. Now it’s Australia’s turn to fall in love again with Roald Dahl’s delicious tale. Four boys share the role of Charlie Bucket in this production, Oliver Alkhair (11 years of age, from Panania), Tommy Blair (11, Engadine), Xion Jarvis (9, Burwood Heights) and Ryan Yeates (13, Canada Bay). Willy Wonka, the most amazing, fantastic, extraordinary chocolate maker the world has ever seen, is played by Paul Slade Smith. Ninety and a half year old Grandpa Joe is played by Australian show business royalty Tony Sheldon, while Lucy Maunder plays the role of Mrs Bucket. Jake Fehily and Octavia Barron Martin play Augustus Gloop and Mrs Gloop, Karina Russell and Stephen Anderson are Veruca Salt and Mr Salt, Monette McKay is Violet Beauregard with Madison McKoy as Mr Beauregard, and Harrison Riley and Jayde Westaby play Mike Teavee and his mother Mrs Teavee. Completing the wonderfully talented cast are Johanna Allen, Sheridan Anderson, Hayden Baum, Kanen Breen, Bayley Edmends, Bronte Florian, Todd Goddard, Madison Green, David Hammond, Sasha Lian-Diniz, Aaron Lynch, Jordan Malone, Kassie Martin, Phoenix Mendoza, Adam Noviello, Glen Oliver, Danielle O'Malley, Jackson Reedman, Emma Russell, Taylor Scanlan, Thalia Smith and Quentin Warren. Roald Dahl began working on Charlie and the Chocolate Factory in 1961, but its origins can be traced all the way back to Dahl’s own childhood. In his autobiography, Boy, he tells us how, while at school in England, he and his fellow Repton students were engaged as 'taste testers' for a chocolate company - something that seems to have started him thinking about chocolate factories and inventing rooms long before Mr Wonka was on the scene. But when he came to write Charlie and the Chocolate Factory, the story went through several drafts until the story as we now know it was released in 1964.